Jakarta – Warih Andang Tjahjono, currently the Vice President Director of PT. Toyota Motor Manufacturing Indonesia (TMMIN), has been appointed as the new President Director of TMMIN starting April 1, 2017. He will succeed Masahiro Nonami, who holds the position since 2010. Warih Andang Tjahjono has been gaining experience in Toyota Indonesia for nearly 30 years, and he will be the first native-born President Director in Toyota’s Asia Pacific manufacturing business unit. Masahiro Nonami will stay in TMMIN in other capacity. Meanwhile, President of Toyota Motor Corporation (TMC) Akio Toyoda today, March 13, 2017, held courtesy visit to the President of the Republic of Indonesia His Excellency Joko Widodo at Indonesia Presidential Palace - Jakarta. During his courtesy visit, Akio Toyoda shared Toyota continuous commitment to participate and contribute in the development of Indonesia automotive industry through investment, employment, export, and human resources development. Also, during this occasion, Warih Andang Tjahjono was introduced as the new President Director of TMMIN. “I am much honored to be entrusted with the responsibilities to lead TMMIN. My predecessor, Masahiro Nonami, is someone I deeply respected for his integrity, hard work, and love for Indonesia which have successfully paved TMMIN as one of Toyota's production and export base in Asia Pacific. Looking ahead, based on the strong foundation made by Mr. Nonami, I will give my best to ensure TMMIN’s readiness in facing the challenges posed by the ever increasing competitive automotive market, in our bid to support and contribute to the development of Indonesia automotive industry,” said Warih. Warih Andang Tjahjono was born in Pati, Central Java, Indonesia in 1963 and earned Bachelor of Chemical Engineering from Diponegoro University in 1989. 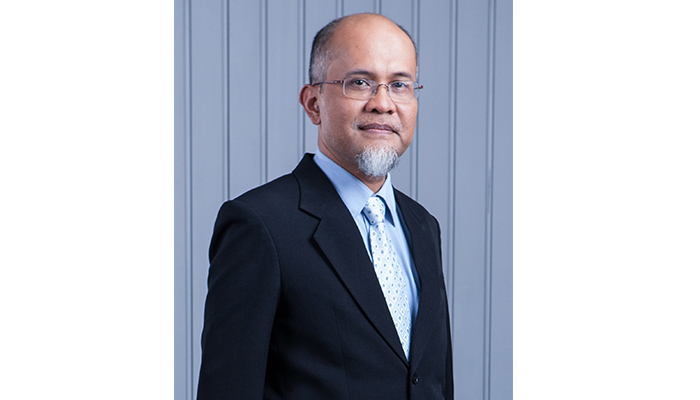 Joining TMMIN since 1989, he has held various essential positions throughout his career, among others, Director of HR, GA, Operation Management Consulting (2009-2011) and Director of Vehicle Manufacturing Karawang Plant & Production Engineering (2011-2014). He was assigned as Vice President Director of TMMIN in 2014. “It is an honor for me to be given the trust to lead TMMIN in the past 6 years. I have learned so much from my time and grateful for the tremendous support from our partner TAM, local suppliers, dealers, and especially from the Indonesian Government as well as the people of Indonesia. I believed that Mr. Warih will successfully lead TMMIN to an even brighter future which in turn will bring more added value along with contribution to Indonesia, especially in the development of Indonesia automotive industry,” said Nonami. TMMIN is the manufacturing arm of Toyota models in Indonesia. Initially named PT. Toyota-Astra Motor (TAM) and starting as distributor in 1971, TMMIN steadily pursue full manufacturing and export operations. TMMIN currently operates 5 manufacturing plants in Sunter – Jakarta and Karawang – West Java to produces 6 (six) Toyota models namely Kijang Innova, Fortuner, Vios, Yaris, Sienta, and Etios Valco; 2 (two) types of gasoline engine: the iron based TR-K and the aluminum based R-NR. Last year, TMMIN manufacturing facilities produced more than 218,000 vehicles and approximately 210,000 engines. In term of export, activities started back in 1987 with the shipment of Kijang 3rd generation model to Brunei Darussalam. Now, Toyota Indonesia routinely sends complete cars (CBU – Completely Built-Up), knock-down cars (CKD – Completely Knock Down), car engines, car components and parts, production tools jig (in welding), and production tools dies (in stamping/press) to more than 80 countries in Asia, Africa, America Latin, Caribbean, and the Middle East. Last year, Toyota Indonesia CBU exports volume reached 169,100 units; contributing to 87 percent of total car export from Indonesia and at the same time reaching a milestone of accumulated 1 million export volumes.